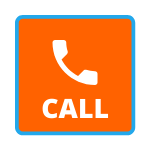 Gate Motor Repairs Sheffield Beach – When it comes to Gate Motor Repairs in Sheffield Beach more often than not. It Involves the electronic components of a gate motor, like the battery for example. For these reasons it’s always best to call Sheffield Beach Gate Motor Repairs to do a proper assessment. A self-diagnosed fault can end up costing you allot more money. For example, you may think it’s the PC board, only to find it was a fuse that needed replacement. An assessment from an expert like the team at Gate Motors Sheffield Beach. Who will save you money, rather than costing you money. The Gate Motor Repairs Durban team fixes all types of gate motors and provide. Centurion Gate Motor Repairs in Sheffield Beach. Gemini Gate Motor Repairs in Sheffield Beach. Nice Hansa Gate Motor Repairs in Sheffield Beach. Hansa Gate Motor Repairs in Sheffield Beach. And DACE Gate Motor Repairs in Sheffield Beach. Here are the common parts of a gate motor that may need replacement from time to time. Components include a PC Board. Remote Control Receiver part of the gate motor in newer models. And as a secondary attachment with older gate models. Limit Switch Assembly responsible for slowing the gate down before closing. And, if you have them, Safety Beams which prevent the entrance gate from closing on people, animals and cars. Gate Motor Repairs in Sheffield Beach may also involve the replacement of the battery. A sluggish gate or a gate that looks like it’s losing power to complete closing needs a new battery. And every situation is different making it hard to predict how long your battery should last you. However, the general rule is to change your battery every two to three years. If you experience significant power failures, to instead switch to a bigger battery. Due to regular use sooner or later, wear and tear will become a factor on your Rack and Pinion. So it may become necessary to either replace or adjust the Rack and Pinion. A good indicator of this would be when the gears (pinion) turns, and the gate does not move. In case you don’t understand a rack in the teeth at the bottom of the gate. The pinion is the gear showing outside of the gate motor. Gearbox problems happen when the gate motor must work harder. For example, if the gate is heavier than the allowed weight. Or if wheels were worn. Repairing or replacing the gearbox can be expensive. For this reason, it’s best to prevent the problem with regular maintenance. And checks to your gate’s wheels. Contact Gate Motors Sheffield Beach When you need help with your broken gate motor, call the experts Gate Motor Repairs Sheffield Beach on 072-220-3030.